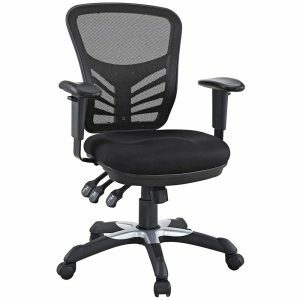 This an articulate ergonomic chair that has very nice features like the adjustable, padded armrests, height adjustment, tilt and lock, lumbar spine support, cooling mesh back, contoured 6 inch thick seat cushion, 360 degree swivel, dual wheel casters, adjustable back height and seat depth, and supports 331 pounds. 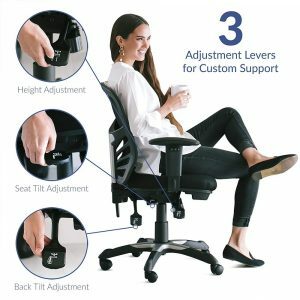 This is a versatile choice for computer desks and workstations. 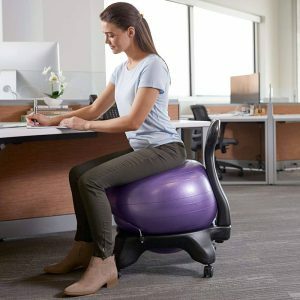 The Balance Ball Chair is an effective alternative to a traditional office chair by providing an outlet to sit both intently and comfortably. 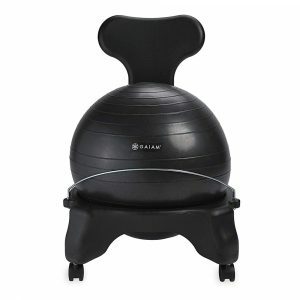 Designed for users 5-feet to 5-feet, 11-inches tall; 300 pound weight capacity.